TORONTO (AP) — Canada’s former justice minister announced Tuesday that she was quitting Prime Minister Justin Trudeau’s Cabinet — a move that follows allegations Trudeau’s office pressured her to avoid prosecuting a major Canadian engineering firm. Veterans Affairs Minister Jody Wilson-Raybould released a letter announcing her resignation but gave no reasons. She had been demoted from the post of justice minister last month. The Globe and Mail newspaper reported last week that Trudeau or his staff pressured her to arrange a deal with Montreal-based SNC-Lavalin that would let it avoid criminal prosecution on allegations of corruption involving government contracts in Libya. Trudeau said he was “puzzled” and “surprised and disappointed” by her decision. “Allow me to very clear. Our government did its job properly and according to all the rules,” Trudeau said. The prime minister said Wilson-Raybould never came to him in the fall with concerns the government was not acting properly. “It was her responsibility to come directly to me and highlight that,” he said. “To be honest I don’t entirely understand why Jody Wilson-Raybould made the decision she did,” he added. Wilson-Raybould said she has hired a former Supreme Court justice to advise her on what she can say publicly about the matter. Her resignation is a potential blow to Trudeau as he faces re-election this year. He has denied directing Wilson-Raybould to arrange such a deal. On Monday, Trudeau said he had told Wilson-Raybould previously that any decision on the subject was hers alone. Trudeau also said her continued presence in the Cabinet should speak for itself. “Regardless of background, geography, or party affiliation, we must stand together for the values that Canada is built on,” Wilson-Raybould said in her resignation letter. The Globe and Mail’s report said Trudeau’s office pressured her to instruct the director of public prosecutions — as allowed by law — to negotiate a remediation agreement with SNC-Lavalin. The agreement would have allowed the company to pay reparations but avoid a criminal trial on charges of corruption and bribery. If convicted criminally, the company would be banned from receiving any federal government business for a decade. SNC-Lavalin is a major employer in Quebec with about 3,400 employees in the province, 9,000 employees in Canada and more than 50,000 worldwide. The company also said foreign companies with similar issues are able to work freely in Canada and around the world because of such settlement agreements in place in their own countries. On Monday, Canada’s ethics commissioner announced an investigation into the allegation. Wilson-Raybould became Canada’s first Indigenous justice minister when Trudeau appointed her to the post in 2015. 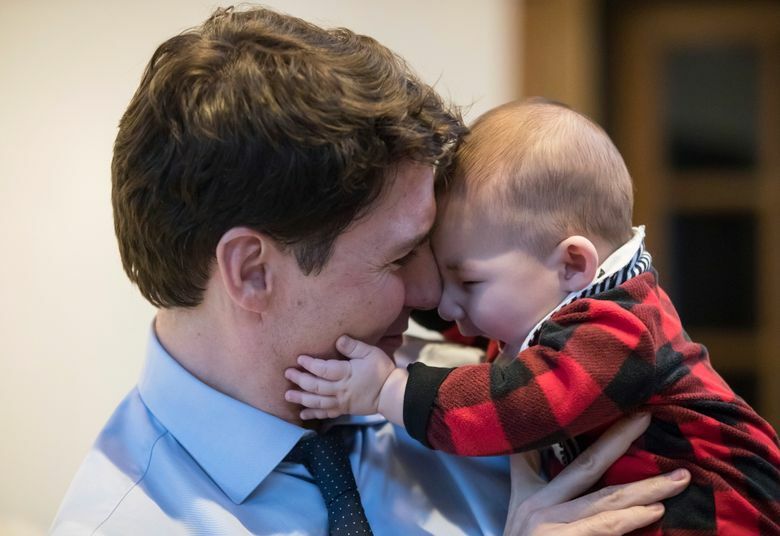 Robert Bothwell, a professor at the University of Toronto, said her quitting is a blow to Trudeau’s efforts for reconciliation with aboriginals. “The symbolism of her quitting after being touted as Trudeau’s bridge to the aboriginal community and as a symbol of the place they could aspire to in Canadian society — the loss of that is dreadful,” Bothwell said.